It's no lie that our living room carpet has seen better days, so in order to hide the hot mess temporarily until we get new flooring, we decided that a large area rug was the best solution. Bonus, it's also a great way to bring in some fun new colors too! 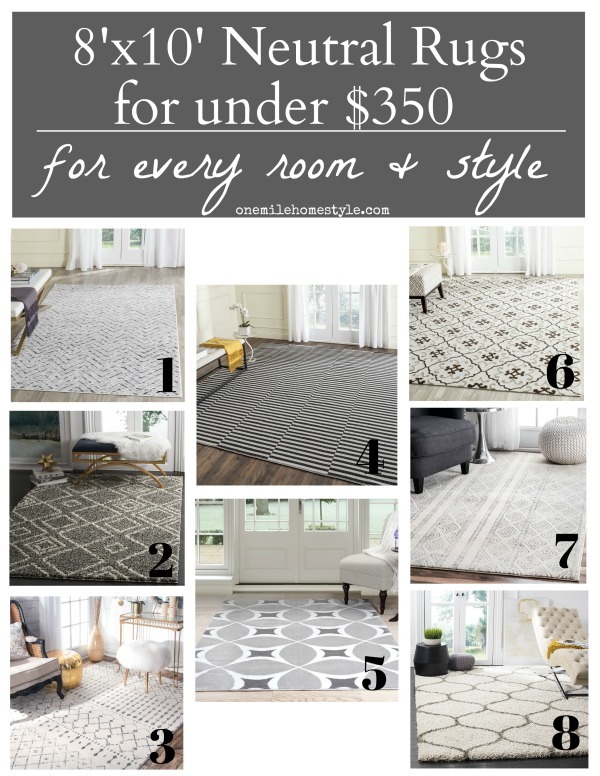 I was worried that we would be have to spend a ton of money to get the large 8'x10' rug the space needed, which is why I put it off for so long, but was pleasantly surprised with all of the options available once I started looking. 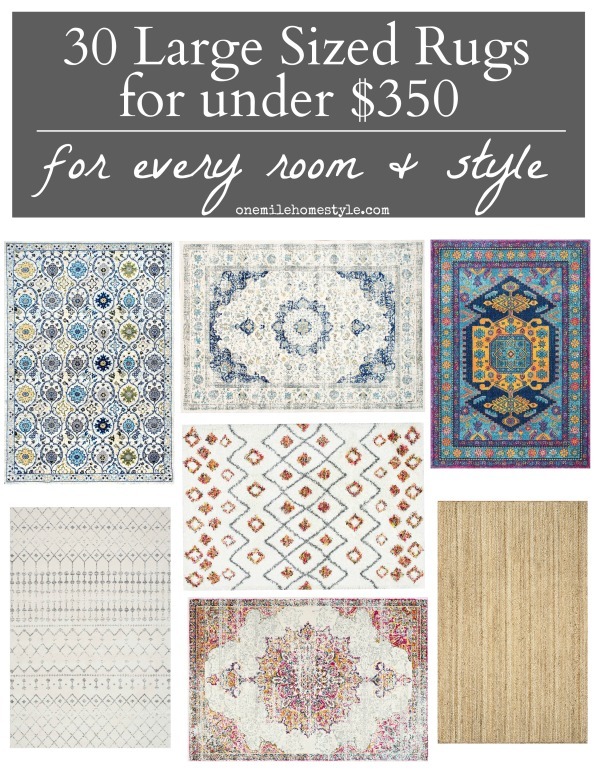 To help you with your search, I have rounded up 30 rugs in a wide variety of colors, styles and prices! 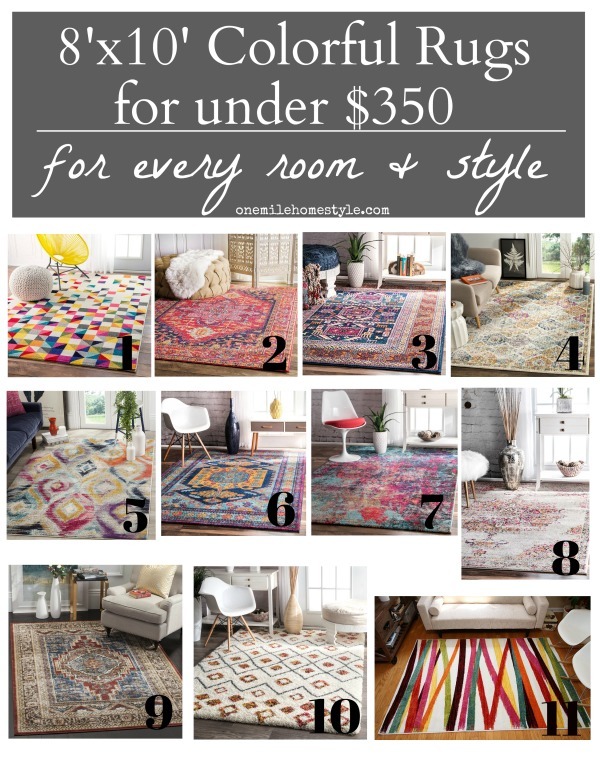 All of these rugs are least 8'x10', and they are under $350 (and over half of them are under $250)! To keep things semi-organized, I have broken them down into a few smaller categories. 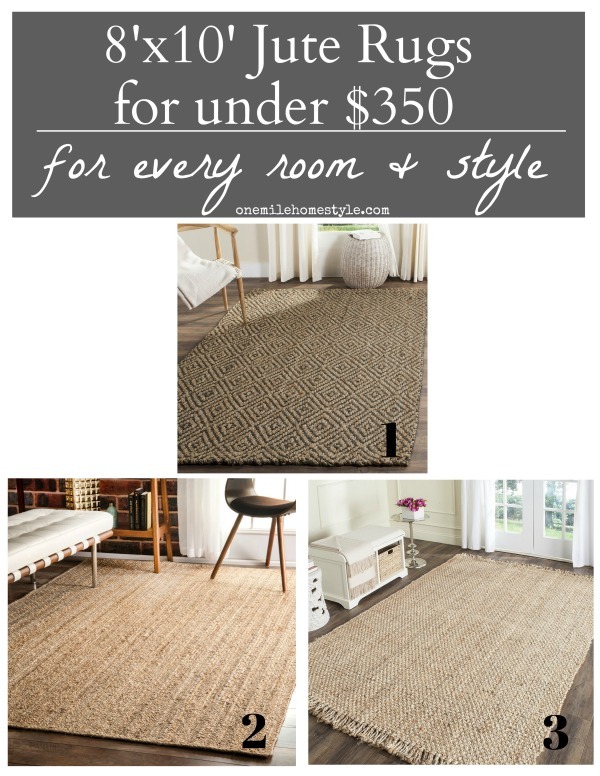 First up, the hard-working jute area rug, that looks great in every room of the house, adds a ton of warmth and texture, and makes a great base layer if you are wanting to layer area rugs in your space. Next up we have neutral area rugs that are anything but boring. These all have some beautiful texture and designs, but provide a quiet backdrop to the rest of the room. Blue is practically a neutral to me, it's like your favorite pair of jeans, it just goes with everything. 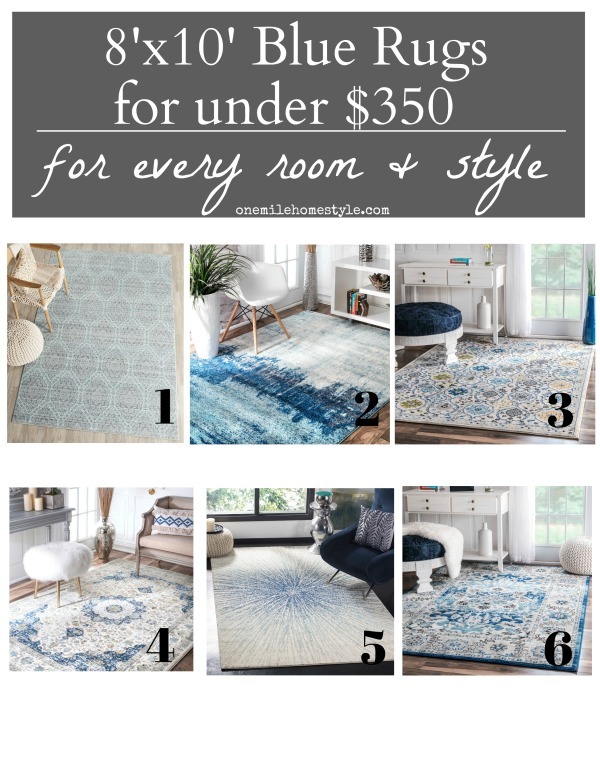 Here are some of my favorite blue area rugs that are a more colorful neutral option. This last group is my favorite, and surprisingly, the area rug I purchased for our living room is in this group too! Colorful area rugs are a great way to bring in a new color, and add a little fun to a space. I am on a mission to add a little more color to our home, and I decided to start with the living room rug. Can you guess which one I chose? If you are shopping for a new large size area rug for your home, be sure to pin this as a reference when you start shopping!